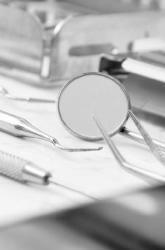 David Reaney Associates has been providing quality dental care in the village of Moy since 1988. It’s a central location which suits our patients well, because they come to us from all parts of Ireland. And if you were to ask me to name the qualities that attract them to our Practice, I’d say it’s because we offer a blend of rigorous professionalism, integrity and clinical excellence, mixed with a large measure of sympathetic advice, compassion and kindness. You see, my colleagues and I love doing what we do. We are passionate about providing conventional and holistic dental care in state-of-the-art premises. And we are dedicated to developing our skills to the highest levels. We invest substantially in our own professional training and constantly keep abreast of the most modern techniques by learning from leading dental professionals around the world. So what does this means for our patients? Well, it means we offer some of the most advanced treatments available, delivered to the highest standards, just as we would expect for my own family and myself. It means that our role is to fully inform you about a proposed treatment, and to discuss any reasonable alternatives. What’s more, it means we do it in a straightforward manner – one that allows you to become involved in your treatment decisions. There is another important consequence from our approach to dentistry. We welcome everyone to our Practice, from emergency patients, to those requiring long term care. However, we may not be for everyone. We tend to work with discerning patients, who understand that they require a certain level of expertise to resolve their dental issues, and are prepared to commit themselves to this process. So, if you are interested in a Practice where you will feel safe, secure, and listened to; where you will receive expert, up-to-date and objective advice; where the treatment given will be purpose-designed for long-term success and peace of mind, then talk to us. We’d love to hear from you.